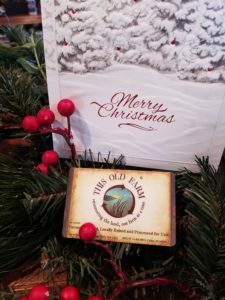 Did you know we have gift cards so you can give the gift of locally sustainable meats, produce, and artisan items? A This Old Farm gift card would be a great gift idea for the grill master, health-conscious, or hard to buy for person on your list. Stop by our newly renovated storefront or call us at (765)324-2161 to purchase. We can even mail them!